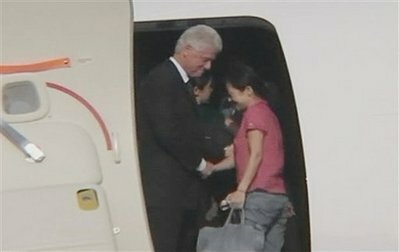 North Korean leader Kim Jong Il issued a "special pardon" freeing two jailed American journalists after talks with former U.S. President Bill Clinton, who arrived in North Korea Tuesday on an unannounced visit. The historical visit marked Kim's first meeting with a prominent Western figure since his reported stroke nearly a year ago. 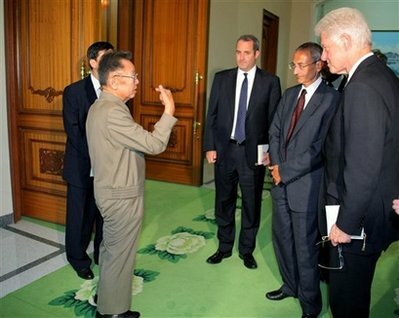 The meeting also made Clinton the third prominent American politician to have visited North Korea. 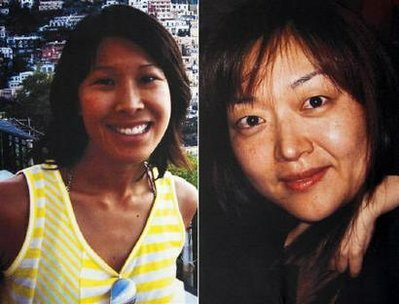 Clinton's mission was to release two female US journalists, Laura Ling and Euna Lee, who were arrested March 17 near the China-North Korea border. 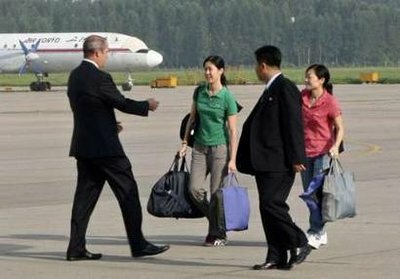 The pardon issued was a sign of North Korea's "humanitarian and peace-loving policy," the Korean Central News Agency reported. State media said Clinton apologized on behalf of the women and relayed President Barack Obama's gratitude. The report said the visit would "contribute to deepening the understanding" between North Korea and the U.S. In this photo released by Korean Central News Agency via Korea News Service in Tokyo, former U.S. President Bill Clinton, right, meets with North Korean Leader Kim Jong Il, left, front, in Pyonggyang, North Korea,Tuesday, Aug. 4, 2009. 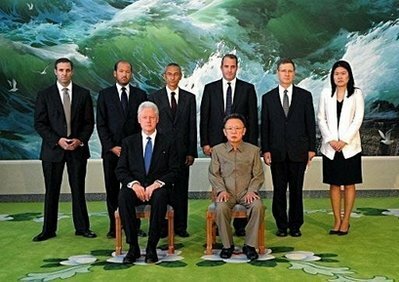 At Clinton's right is former White House chief of staff John Podesta, others are unidentified. Clinton met Tuesday with North Korean leader Kim Jong Il on the first day of a surprise visit to Pyongyang, holding 'exhaustive' talks that covered a wide range of topics, state-run media said.